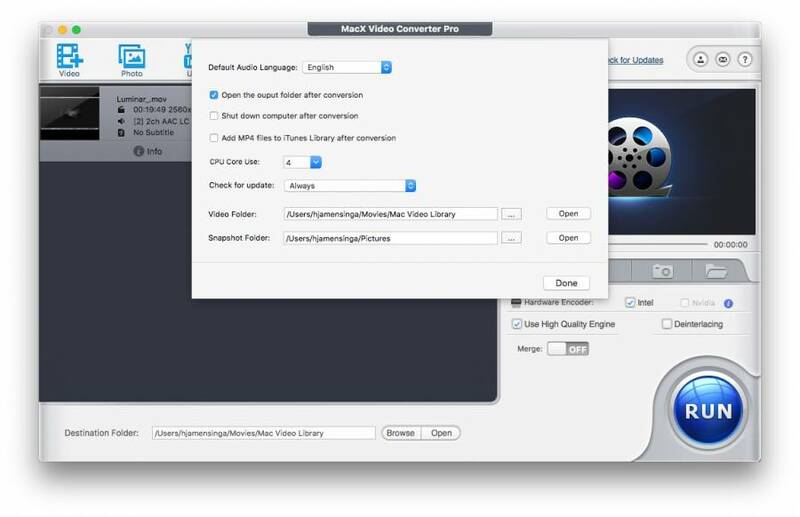 MacX Video Converter Pro offers a wide codec support. It enables you to download videos and music and convert YouTube to MP4, MP3 for offline playback. Over 320+ video and 50+ audio codecs help you to convert 4K UHD, MKV, AVCHD, M2TS, MP4, AVI, WMV, MOV, VOB, etc to any video or audio format. It offers the world’s first video converter supporting Intel QSV hardware acceleration, 16X faster than before and no quality loss. It also empowers you to record & capture screen video, make photo slideshow, and more. ➡ First Mac video converter that supports to convert any video for the newly released iPhone X, iPhone 8/8 Plus, Samsung Galaxy Note 8, Samsung Galaxy S8 and Huawei Mate 10. Unique: No. 1 fast conversion speed taking advantage of unique Intel QSV tech and Auto Copy tech. 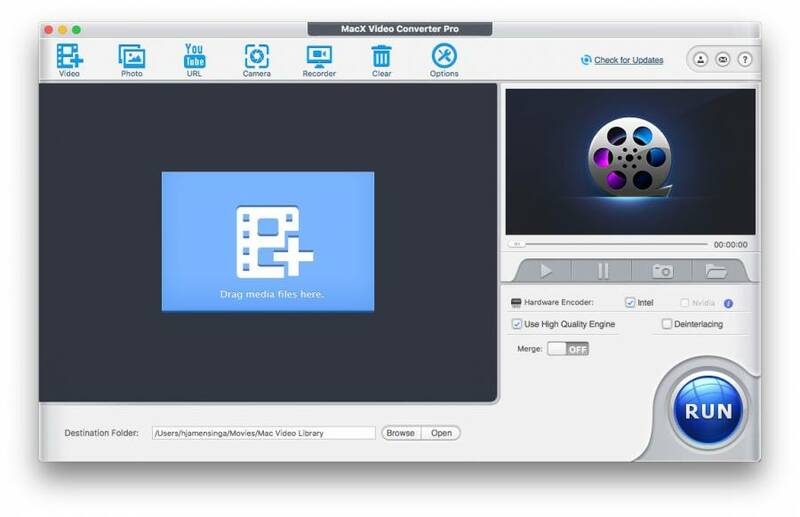 Convert a MKV video (H.264+ac-3, 1920×1080, 02:07:22) to MP4 in only 15 min. 6 times faster than Handbrake, 10 times faster in auto copy mode than in normal conversion mode. New & Hot: Handle 4K video easily. Convert 4K UHD, HEVC/H.265, MKV, MP4, MOV,AVCHD, M2TS, AVI, WMV, etc to any video/audio format. Upscale 1080P HD to 4K. 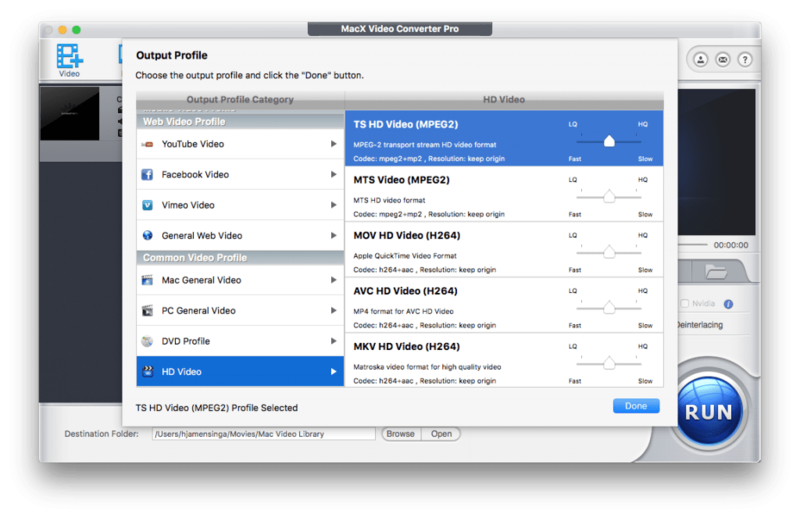 New: Convert video codecs to H.265/HEVC for better playback on iPhone iPad Mac. Compress up to 50% video size with zero quality loss. bar to ‘low’ or ‘high’ , the huge number of codecs will be more then enough for any user. Converting a video to highest quality codec like HD or 4K takes time, but compared to other converters MacX really converts fast without losing quality at all. Intel Quick Sync Video hardware acceleration technology, this Mac video converter can convert any videos with 5X faster speed than others, no matter MP4 MKV MOV AVI or 720P, 1080P, 4K 8K video. 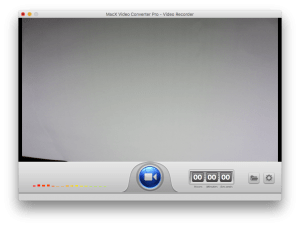 MACX Video Converter Pro does not only provide converting tools but also contains a great screen recorder and recorder for the iMacs building camera. 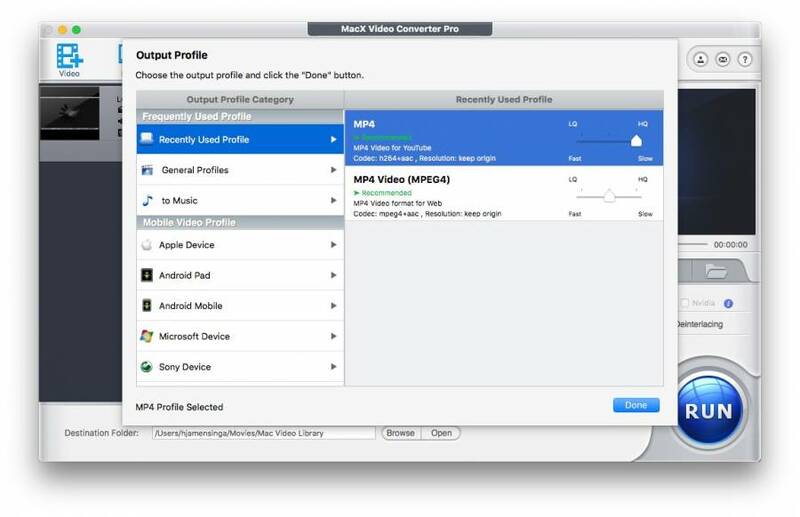 Both record in good quality ( settings ( low, medium,high ), after finishing auto open your default media player. This is just a feature-rich, high quality and really fast video converter having all the tools to make your life easier. Its just that simple in use that there’s really not much to discuss left. 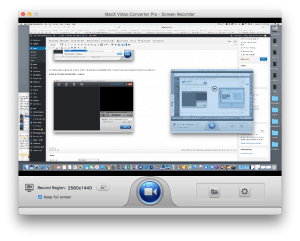 It does the job brilliant and even more, so are you looking for a converter try MacX Video Converter Pro you will not be disappointed. 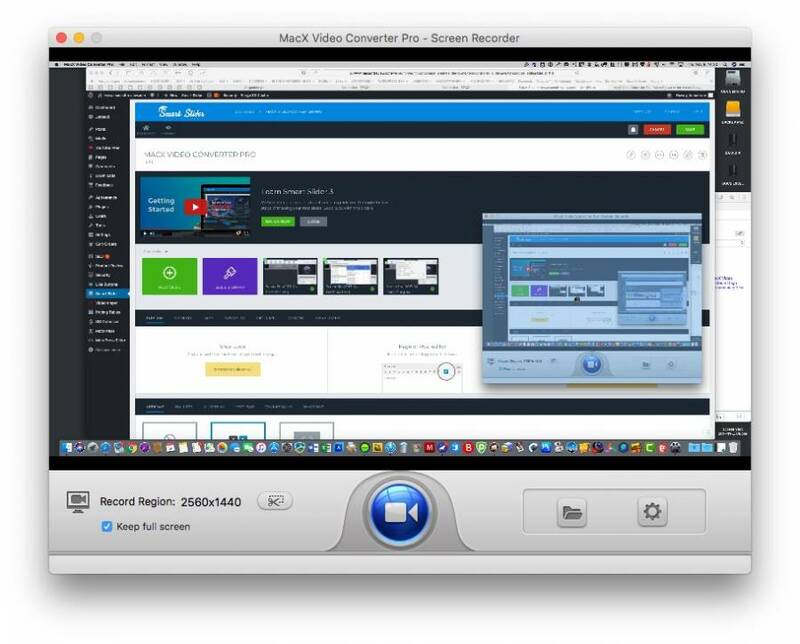 So we have tested MacX Video Converter Pro and we are impressed with its performance, number of available codecs and additional tools like the screen recorder, camera recorder and ability to download straight from you-tube. It works really easy and fast with a quality finish of your precious video. I cannot find any real flaws in this product ! It absolutely is one of the best video converters on the market offering more then just a basic converter. But wanna comment that you have a very nice internet site, I love the style and design it really stands out. Good converter but trying to use it’s screen capture capabilities, it crashes CONSTANTLY. Screen recording works fine with me really. No problems at all. Suggest you contact support.